It was not until the sewing machine became widely available that a demand for home sewing patterns arose. Before the "deltor", women constructed dresses from a one size pattern that was graded at home by eye and touch. Others would trace off complicated patterns printed in magazines next to a picture of the garment-- similar to a BurdaStyle, Patrones and Ottobre magazines. Ebenezer Butterick, a tailor, started manufacturing patterns using tissue paper and in different sizes in 1863. Patterns billed as "guaranteed to make a perfectly formed garment" sold six million in one year. It was a welcome change from the tedious tracing and fitting that was necessary with the magazine patterns. He started with boy's and men's patterns and then expaneded to womens. These were not the patterns that we are used to seeing as there were no markings until later in the late 1890's punch outs directing which piece was what with directions, and layout instructions provdided on the envelope years later. Fashion magazines featuring the styles were published (The Delineator) so one could order the patterns from them. These precut patterns made sewing patterns and fashion accessible to the growing middle classes. James McCall, another tailor, started his company McCall's patterns in 1870. McCalls started printing cutting, marking and sewing lines on their patterns in 1921. In 1968 the major pattern manufacturers agreed upon a standard for sizing so the sizes were consistent between the brands. Pattern adjustment for individuals were and continue to be necessary however. When this book was writtin in 1973, they do mention that personal adjustments can be programmed into computer fitted programs. These measurements "are fed into a computer, which activates a "plotter" whose stylus traced a custom pattern needing no adjustments whatsoever." I wonder how accurate this was in actuality as today, I continue to struggle to get the settings on computer generated patterns to fit me correctly. Reasons for the late appearance of sewing patterns in a world with such rich sewing heritage is no mystery. In ancient days, cloth was draped, tied and pinned and hung loosely from the body. It wasn't until clothing style became more tailored to the body (probably can be traced to the changing climate of Europe) which saw it's pinnacle in the 12th Century. The new tailored look, along with the expansion of trade that was developed during the Crusades inspired increased wool industry and an expansion of tailor's guilds in the major cities. The simple draped shapes were not sufficient, more shaped pieces were needed and the necessity to conserve the expensive fabric required shaped pattern pieces laid out to take the best advantage of the cloth. They were initially made of paper and then of cloth with no markings. The tailor's eye was the grading system and they kept their customers measures as well as liberal letting out and taking during fittings. Men (tailors) had exclusive right to the use of patterns, it being illegal for anyone else. In the 17th Century, Louis XIV granted seamstresses the right to use patterns to make the clothes for women and children. If you remember history, the male peerage were quite the peacock. King Louis, desiring that France be the epicenter of good taste in not only wine and cheese, but Mode as well, sent lifesize dolls through the courts of Europe dressed in the latest Paris fashion. The Ladies would then order their tailors and seamstresses to copy the style and be current with the fashion. Even so, in those times fashion did not change as quickly as it does now so there was time for the celebrated fashion designer/royal tailors and demimondaine to set the trend. Life size dolls were unwieldy to say the least. The idea was still good though and continued after Louis was gone. The dolls continued to communicate the latest fashion but in a much smaller size until the estimable Ebenezer pedaled his patterns. 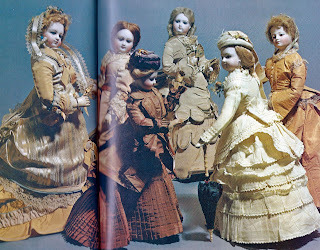 In the 1940's Robert Ricci revived the fashion doll ideas as a way to raise money for the war effort. 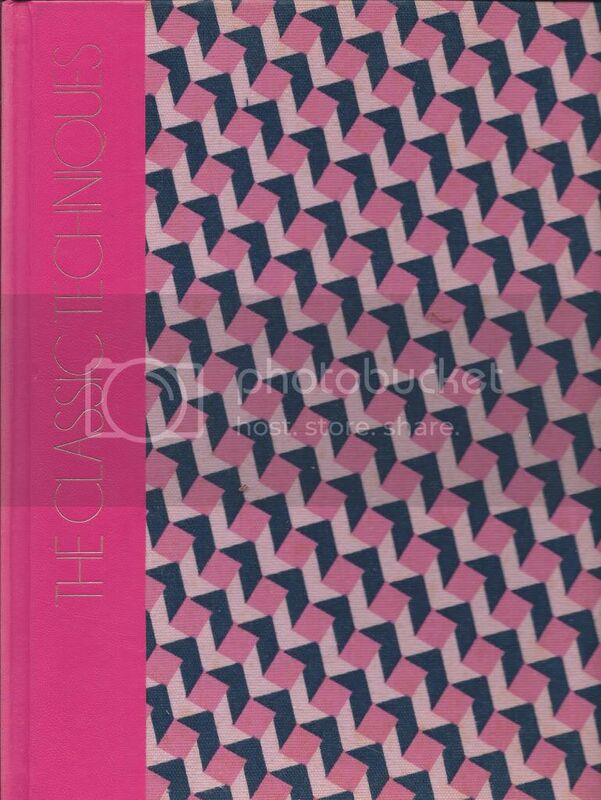 This project is documented in Theatre del la Mode which can be obtained from Palmer/Pletsch at http://www.palmerpletsch.com/store/theatrebook.htm and contains lovely vintage 1940's fashion. The clothing of the dolls were correct down to the most minute detail in order to communicate the latest style. Most were made of china or alabaster. Ultimately the paper doll succeeded the china doll and were actually used in the mass market for the less well-heeled by the mid 1800's.